American Indians fashioned many of their tools from stones. They used stones that were available to them locally and also obtained raw materials for their stone tools from distant sources, either directly or through trade with other American Indian groups. Some tools were made by carefully removing, or chipping, fragments from cores, which are cobbles or large quarried stones. The fragments removed from cores are called debitage, which includes flakes and irregular fragments. 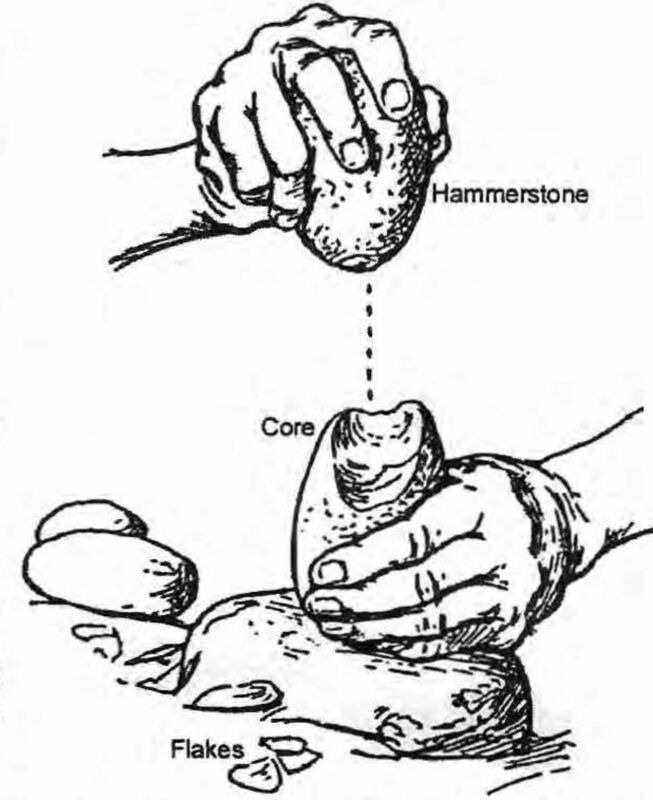 Chipped stone tools are made by carefully removing increasingly smaller flakes from a core or from a large flake. The first steps in making a chipped stone tool involves forming a rough shape by removing larger flakes and later steps call for removing increasingly smaller flakes to give the tool its final shape. Some tool shapes are diagnostic of a particular time period and a specific geographic area. In the absence of material suitable for radiocarbon analysis or other dating technique, archaeologists rely on temporally (time) diagnostic chipped stone tools to date archaeological sites.